Designed to traditional Irish standards, the Irish Harp Pub offers great food, great beer, great whiskey and old-fashioned Irish "craic" (fun and chat). The craic is a spirit. An essence you can sense in a busy pub. The craic is impossible to bottle but somehow we manage to do just that. Most Irish pubs started as spirit grocers. 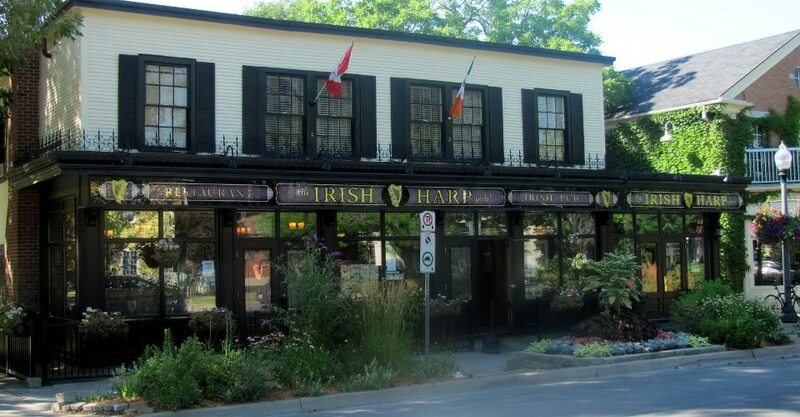 The Irish Harp Pub is located on what used to be the local grocery store, built in 1913. The owner lovingly restored the old building in 2006 to what you see today. The proprietor hails from County Derry in Ireland and has brought to Niagara-on-the-Lake the traditions and spirit of the Emerald Isle.